All our ecommerce websites have organic SEO built-in. 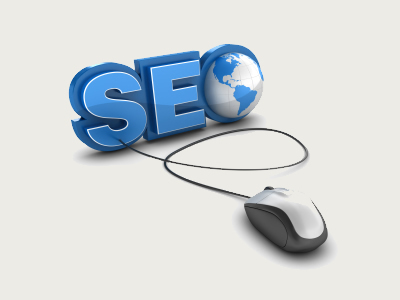 We also offer UK based SEO services for existing websites. website optimisation campaigns for local and national customers. For a website to be successful it is important to get it ranked as highly as possible in the search engines, so when customers search for your website or the products you sell they find you, not a competitor. You don't have to pay for them! They are more likely to satisfy customers needs. Websites that attract organic SEO traffic generally have a higher conversion rate (i.e. more people end up buying something on them). By researching what your customers search for and updating your ecommerce website to highlight and focus on these things, you are naturally producing a website more tailored to your customers needs (as well as attracting them to it via the search engines). Such optimisation of website pages needs to be targeted at specific search habits, and usually for a specific country or region. We specialise in SEO in the UK, or organic UK SEO. Website optimisation is a complex area, and a whole industry has grown up around it - 'SEO consultant' is now a common job title. To get it right requires technical knowledge - i.e. how to build your website so that Google and other search engines take notice of it; and industry knowledge - i.e. the habits of customers within your target market. How does organic UK SEO work? The search engines use software programs referred to as 'robots' or 'web-bots' that spend their days looking at as many websites as they can and ranking them. To rank sites, the search engines use a process called 'indexing' which analyses every page that it finds within your website. It can then take the words or phrases that are entered by search engine users (known as keywords), and return the most relevant websites within its index. The text within your website. The position and styling of the text is also important for website optimisation. The name of your website (e.g. www.my-company.com) and the name of individual pages (e.g. www.my-company.com/buy-my-widgets.html). Search engines use words found in the website and page name in their indexing process. Metadata is extra information, not necessarily visible to the customer, that is contained within your website pages and can be very important to website optimisation. The images themselves are not important, but the name and text associated with images are. Other websites linking to yours are especially important - website optimisation can get complicated regarding links, but to put it simply, the more you have, the more the search engines will regard your website as popular and worthy of a good ranking. Websites whose content changes regularly is good for website optimisation. For example, regularly changing news items or case studies are preferred over 'static' websites that never change their content. Why is it so hard to achieve a good organic SEO search engine ranking? In the early days of search engines, website owners quickly realised how the search engines worked, and modified their website optimisation to achieve a good ranking. For example sites would simply repeat key words over and over, sometimes making them invisible (e.g. giving them a white colour on a white background) so the website still appeared normal to customers. Organic SEO was relatively easy in those days, but such underhand techniques became known as 'spamming', and the search engines started to crack down on it, because searches no longer produced very accurate results – search egnines ranked the sites that were best at ‘spamming’ the highest, and this usually didn’t correspond with the sites that customers actually wanted to look at. ‘Spamming’ and other underhand organic SEO tricks are detected and sites are ignored or downgraded. As many factors as possible are included in the indexing, and the indexing process is constantly refined and tweaked. Factors that are, at least partly, beyond the control of the website owner, such as the number of links from other sites, are considered. The exact indexing algorithm is a large part of a search engines competitive advantage and is a closely guarded secret. Google is generally thought to have the best indexing process and produce the best search results, which is why it has monopolised the search engine market. To achieve a good ranking, your website needs to address all the factors that affect indexing without using website optimisation techniques that the search engines will regard as 'spamming'. As the internet has grown exponentially, even if you get your organic SEO 100% right, there may be other sites that do the same and have more external links or other factors beyond your control that give it a higher ranking. In this case there are still options, but it gets complicated. What can I do about website optimisation? e.g. home page text, news items, case studies. The website meta data includes page titles, descriptions, key words and other information that is not visible to website users, but is visible to the search engines. For example, if you have a page selling garden gnomes, you might want it to be called ‘garden-gnomes.htm’. If this didn’t get results, you could re-name it to ‘cheap-garden-gnomes-with-fishing-rods.htm’ and see if this got better results. The text associated with images is important. Search engines can’t (yet) meaningfully index the image itself. Links to other websites are important (not as important as other websites linking to yours though), so should be easily maintainable. Secondly, you need to start off with a website that ‘hits the ground running’ in SEO terms – e.g. keywords have been identified and targeted. This is best achieved by combining the technical knowledge of your website developer or SEO consultant with your own industry / customer knowledge. Thirdly, you need to get your site noticed by the search engines and get as many other sites to link to it as possible. Finally, organic SEO is a continuous process – for website optimisation to last you will need to keep on top of customer and industry trends and ensure they are reflected in your website. The SEO features can be tweaked (so long as your ecommerce website is capable of this) and the results monitored. There are tools available (some free, such as a Google analytics account) which can help with this process. Many businesses outsource their SEO, but you still need to spend time on it, as your SEO consultant will not necessarily know the best keywords and other content to use for your specific market. What are the alternatives to organic SEO? When somebody types in a relevant phrase or keyword, your website appears in the 'sponsored links' section of the search-engines website. Every time somebody clicks through to your website you pay a fee. You can put a fixed amount of money in the pay-per-click account, and be notified when the money runs out. Statistics are provided on the visits generated which can be analysed to gauge the effectiveness of the campaign. This involves making arrangements with other websites that will direct customers to your site. The typical example is a price comparison website – you register your products with them, and they direct to your website (usually for a fee which can be fixed, pay-per-click or commission based). This can work well in conjunction with a special offer (e.g. buy one get one free) or a discount code (e.g. type in a code at checkout to get a 10% discount). Teaming up with complementary websites and recommending each others products, such as a jewellery website recommending a makeup and hair-products website. Advertising your website in trade and local magazines can be effective for some websites. Gift vouchers and online discount codes can be a big draw for ecommerce websites. Please contact us if you have any questions. All Web of Ideas websites come with a full complement of organic SEO tools. We can build in support for other marketing options such as voucher/discount codes and affiliate tracking. We will work with you, combining our skills to ensure your website gets noticed.